Asthma is a common respiratory infection. In this disease there is difficulty in breathing because lungs are not able to perform well. It is an autoimmune disease and may cause inflammation of the lungs. 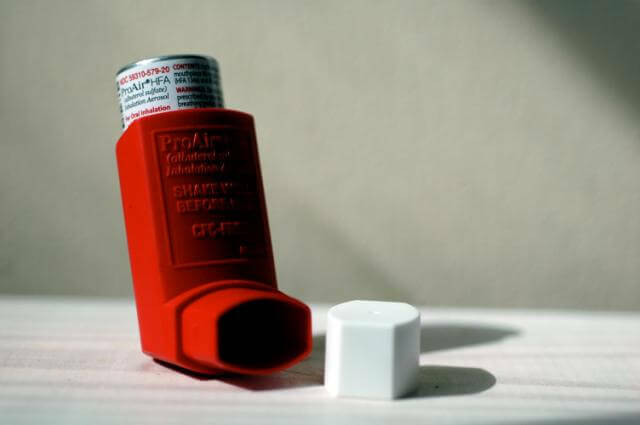 Asthma attack may be triggered due to an allergen. The respiratory tubes become narrow and produce excessive mucus. It may occur at any age and people suffering from asthma feel worse during damp weather conditions. Attacks of asthma increase during the change of season. There is continuous production of mucus in the chest and patient may suffer from debilitating cough. Asthmatic people depend upon nebulizers for getting quick relief from asthma attack. But it is not a solution to their problem and tries to find natural ways to cure asthma. Herbal remedies help in the natural treatment of asthma. There are many ayurvedic herbal remedies that give excellent treatment for asthma. There is continuous production of the phlegm from the lungs. Mucus produced from the lungs is thick, stringy and white in colour. There is a wheezing sound from the chest when a person coughs. There is aggravation of the cough in the morning or at night. Breathing becomes difficult and sometimes the patient gasps for the breath. It becomes difficult to take a deep breath. There is tightness and pain in the chest due to excessive cough. Asthmatic patient has difficulty in walking and running. There may be breathlessness due to accumulation of mucus in the chest. Asthma may cause weakness and tiredness. There may be loss of sleep due to asthma attack. Patient has low immunity and may suffer from fever and headache during an asthma attack. There is restlessness in the legs. Patient moves from one place to another in order to get relief from asthma symptoms. 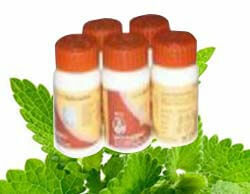 Divya Swasari Ras: This herbal remedy gives quick relief from asthma. It is very useful for reducing the formation of mucus in the lungs. It helps in treating the inflammation of the mucous membranes and give good relief from asthma. Divya Sitopladi Churna: This is another useful natural remedy for the treatment of asthma. It relieves the frequent attacks of asthma by boosting up the immune system. It helps to remove the mucus and helps by giving relief from continuous wheezing. Divya Abhrak Bhasm: This natural remedy provides excellent results for people suffering from asthma. It enhances the immune system to prevent recurrent attacks of the asthma. It helps by preventing frequent spells of pain and difficulty breathing in the lungs. Divya Praval Pisti: This natural remedy for asthma gives excellent results when it is taken regularly for the treatment of asthma. It gives quick relief from congestion in the chest by stopping the formation of mucus in the chest. Divya Trikatu Churna: This herbal remedy gives strength to the immune system and reduces the symptoms of respiratory diseases quickly. This reduces the inflammation of the mucous membranes by giving relief from acute attacks of asthma. Divya Lakshmi Vilas Ras: It is a great herbal remedy for respiratory infections. It helps by providing energy to the body cells. It gives relief from chronic cough. Patient feels better when uses this herbal remedy continuously. It reduces the inflammation of the lungs. Divya Sanjivani Vati: It is an essential herbal remedy for respiratory diseases. It helps in relieving the symptoms of asthma by reducing the mucus formation. It helps by reducing the inflammation of the respiratory membranes. The most important thing is to avoid the conditions that may aggravate the symptoms of asthma. Exposure to pollens, dust and other allergens should be avoided to get rid of asthma. People suffering from asthma should not involve in cleaning activities at home. They should not come in contact with old books, draperies, and toys. Put one teaspoon of honey, a pinch of black pepper and pinch of ginger powder in half glass of water and boil with all the ingredients. Drink it two times in a day to get relief from asthmatic attack. Boil five to six cloves in water and add one tea spoon of honey to make a decoction. It gives immediate relief from cough. Turmeric is a good antibiotic and very useful for respiratory diseases. Boil a pinch of turmeric in half glass of water and drink it twice to get relief from frequent attacks of asthma. In half glass of water put one tea spoon of ginger juice and one teaspoon of lemon juice. Boil it till the water reduces to half quantity. Drink this two times everyday to avoid asthma attacks. Olive oil helps to boost up the immunity. You may add one tea spoon of olive oil and one tea spoon of honey in a glass of warm milk to boost up the immunity and avoid asthma symptoms. Soak some fenugreek seeds overnight in water. In the morning boil the water with one teaspoon of ginger juice to prepare a decoction. This is an excellent remedy to get relief from asthma. You can also prepare herbal tea by adding basil leaves and ginger juice in one glass of water and drink it every day to avoid respiratory congestion.